Earlier this year we began working with a couple who came to us with the desire to put an addition onto their 1700 sf home in Basking Ridge, NJ. They have been very eager and excited about the project and have brought many ideas with them to jump start the design process. Their existing home was built in the 1920s as a Sears model home with three bedrooms, one bathroom, a living room, kitchen and dining room. 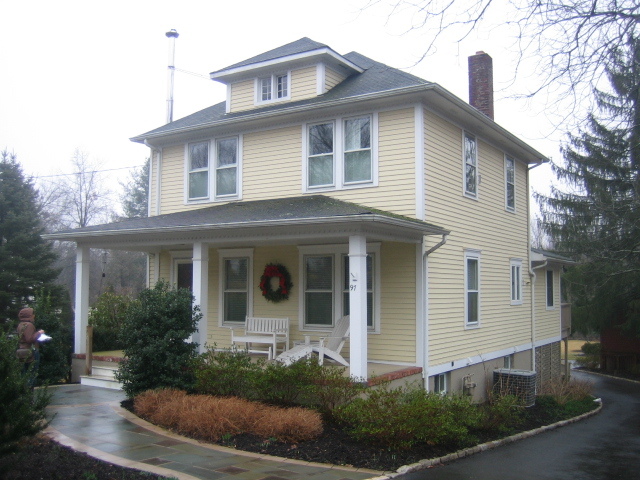 Several years later, a one story addition was added to the rear of the home to expand the kitchen and provide additional dining space. As the home exists now, the spaces and their layout are simply not practical for this family of three. They have asked for their new addition to provide more living space, a kitchen with a better layout, a new dining room, a larger master bedroom and master bath, as well as a better lit playroom for their daughter. The couple also would like their expanded home to have a better connection with the outdoors to contribute to a more holistic lifestyle. The project has been challenging in several ways. 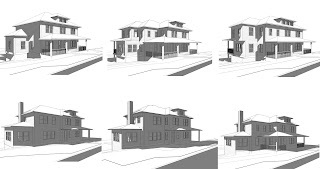 Firstly, the lot's front setback sits directly in the middle of the existing home, calling for the addition to either be entirely in the rear of the home or requiring a variance to allow for construction in the front of the home. 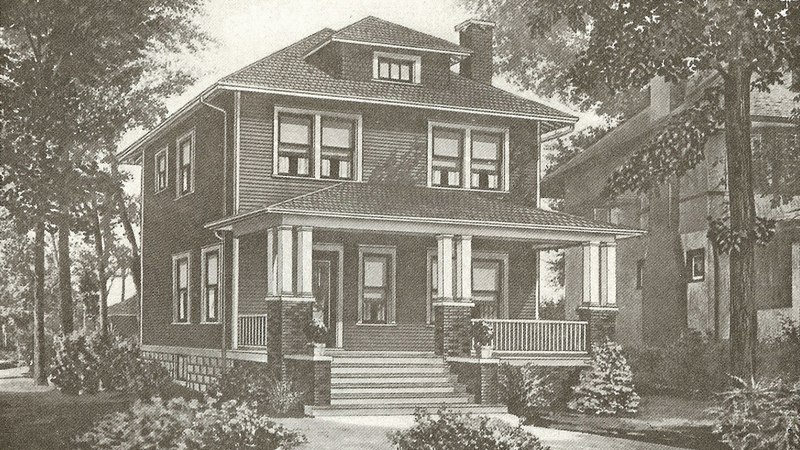 Additionally, the couple wants to more than double the square footage of their home while still maintaining the quaint, traditional look of the 1920s Sears home. 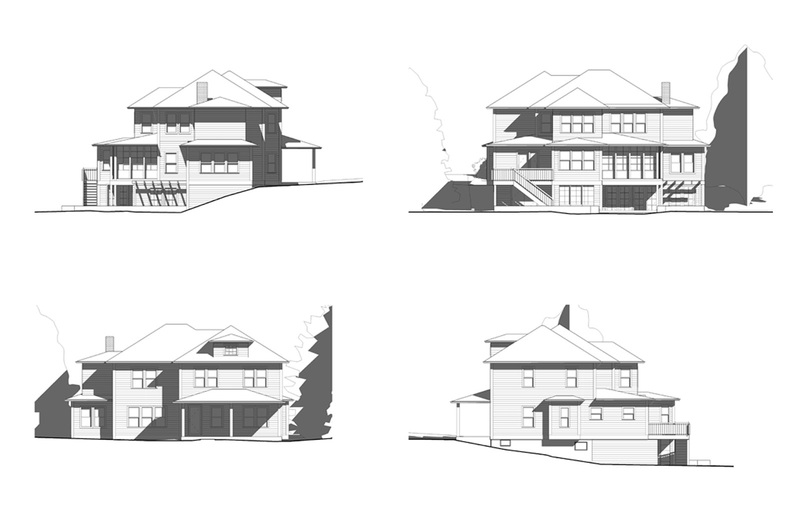 Our most recent design expands the original 1700 sf home to almost 4000 sf to accommodate the family's spatial needs. It includes a library, new dining room, large living room with fireplace, a study, new master suite, playroom, and a fourth bedroom. 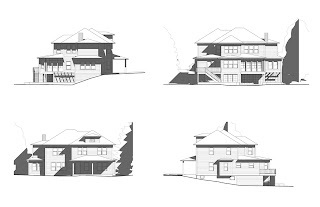 The sloping site gives us the opportunity to create a walk-out basement with lots of light for their daughter's playroom as well as a terrace on the ground floor and a three season porch on the first floor. 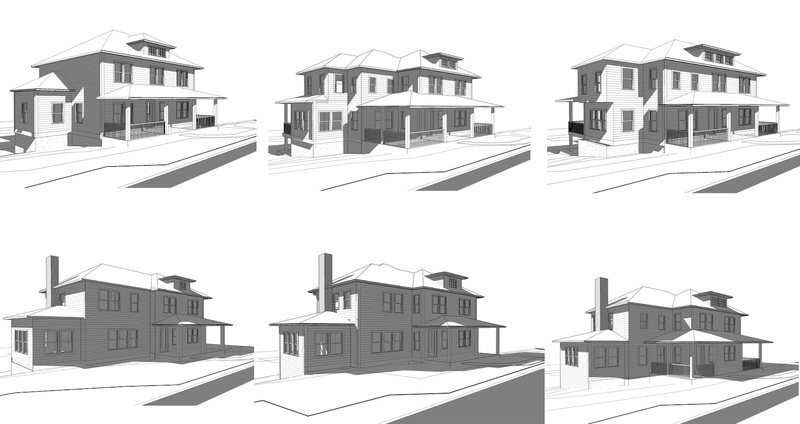 Working closely with the couple over the last few months we've gone through several design iterations and are starting to narrow down the options for what will become the perfect home for this family of three. We look forward to the continued evolution of this project and will keep you updated on the changes to come!